Great things are happening in your community! 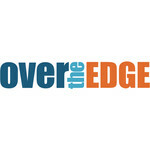 Join Williamsport Area School District Education Foundation, River Valley Regional YMCA, and YWCA North Central PA for Over The Edge Williamsport 2019! All funds raised go towards Challenged Athletes Dream Complex, Hispanic Council of Victoria, and Victoria Business and Education Coalition!